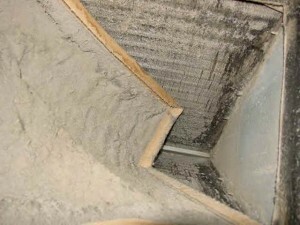 Changing your furnace filter every 90 days can prevent costly repairs. In the most extreme cases, dirty filters can cause a furnace to overheat and explode! 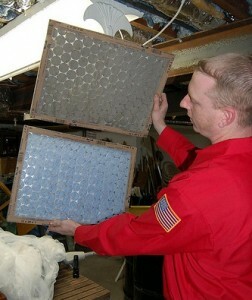 Check furnace filters every 30 days – Heating your home costs a lot of money. Help it cost less by replacing your furnace filter at least every 90 days. They only cost a few dollars and can save you from expensive repairs to your furnace. Check bottom perimeter enclosure – Whether your home rests on a foundation with a crawlspace or a full basement, you need to make sure that the foundation is flush with the home. If it isn’t, you can prevent cold air and the elements from getting in with temporary skirting. Check your home’s crawlspace – As the temperature drops, critters from outside are going to want to stay warm in or under your house. Remove ice buildup – Icicles dangling from your roof may look pretty, but they can be dangerous and cause damage to your roof and drains. Be extremely careful removing any ice and always clear off any snow from your roof before removing ice. 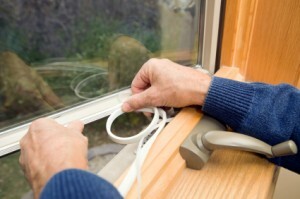 Applying insulation tape to windows can prevent drafty windows from increasing your heating bill. Double or triple pane glass is great, but if the seal on the windows isn’t tight enough, cold air will get in anyway. Check smoke/carbon monoxide alarm(s) – Fires can start during any season, so it’s important to test your smoke and carbon monoxide alarms regularly. Put insulation tape over your windows – Your windows should be double or triple paneled, gas filled chill-stoppers, but they can always use the extra insulation provided by clear insulation tape. Sump pump – If your house has a sump pump, make sure that it’s working properly before the thaw begins. Damaged or missing shingles that aren’t replaced can cause thousands of dollars of water damage to your home. Repairing them usually means hiring a professional, but holding off on repairs will cost you more in the long run. Inspect roof and clean off debris – Buildup of ice and snow on your roof (and misguided attempts to remove them) can damage your roof and shingles. 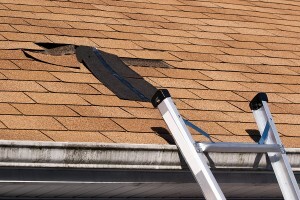 Replace any broken or missing shingles as soon as possible to prevent further damage. This is usually a job for a professional. Check your ventilation systems – Check to make sure your ventilation is moving properly, especially in the bathrooms and kitchen. As the world outside gets warmer, you’ll need to be sure that air is moving and filtering properly so you don’t end up with a mold problem. Check floors for level – In the first few years of owning your home, your house will still be settling. When the winter is over, check to make sure the wood in your house hasn’t contracted re-expanded to make your house slanted. Remove insulation tape from windows – Insulation tape can stay up all year long, but in order to give your windows a good cleaning, you’ll need to remove it. Clean your windows – Aside from the fact that clean windows simply look nicer, clean windows will let in more sunlight. Repair screens – Winter weather can often cause small tears in window screens. They don’t do much good if bugs can fit through the holes. Check the ground level – Winter frost heaves may have changed the grade of the ground around your home. Make sure it slopes away from your foundation, or drainage will become a problem. Check air conditioner – Your air conditioners have been off for most of the year. This check is not only to make sure that the filters are clean, but also that nothing has crawled inside. Dirty air filters like this one can induce allergies in adults and even cause them to develop in children. Clean air filters – With the buildup of pollen over the course of the spring, you can be sure that all the air filters in your house need a good cleaning. Replenish fuel oil supply – Always refill your home’s fuel supply well before the cold weather season approaches. The last thing you want is to be waiting for an overworked delivery crew when the weather turns and you don’t have heat. Check / clean furnace – Make sure that the piece of equipment that’s going to keep you warm all winter is up to snuff. Check oil supply – Did you get your heating oil over the summer like we told you to? If not, get it now! Cleaning the gutters and storm drains on your home will help to prevent dangerous ice buildup during the winter months that can cause expensive damage to your roof. 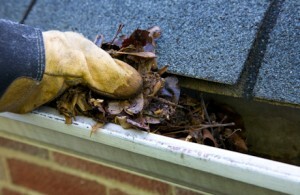 Clean your gutters – If there are any leaves or twigs in your gutters or storm drains when the winter comes, you’ll have to deal with dangerous buildup of ice. Check for small openings – This is far less of an issue with modular homes, but make sure that any small cracks that may have appeared are closed up with caulk. Clean air filters – Before the winter sets in and you’re cranking the heat in your home non-stop, make sure that the air you’re pushing through your house will be properly filtered. Disconnect garden hose from outside faucet – If there’s any residual water in your garden hose, when the water freezes, there’s a good chance that it will get damaged. Drain the hose and disconnect it from the spout. 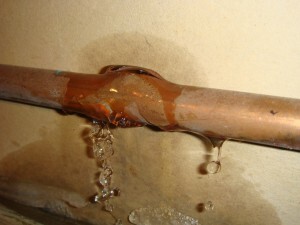 Burst water pipes can be very obvious, but sometimes small leaks go undetected for a long time, causing immense water damage. A drop in water pressure can be an indication that something is wrong. Inspect water and sewer pipes for leaks and cracks – Even the smallest crack or leak can cause huge damage if the pipe water in the pipe has a chance to freeze. Check water faucets and stools for water leaks – All pipes are more likely to freeze and burst if there is water on the exterior of the pipes. Fireplace maintenance – If you have a fireplace, make sure it’s clear of debris and draws properly. If anything needs cleaning, it will probably be a job for a professional. Next post: Modular Home Prices: How Much Will My Modular Home Cost?